A reminder that this print by Nick Walker will be available to purchase on Saturday 23rd June 2012 from the Opera Gallery, Paris, at 2pm. This edition is printed on 330gsm Somerset paper and the size is 94 x 71cm. 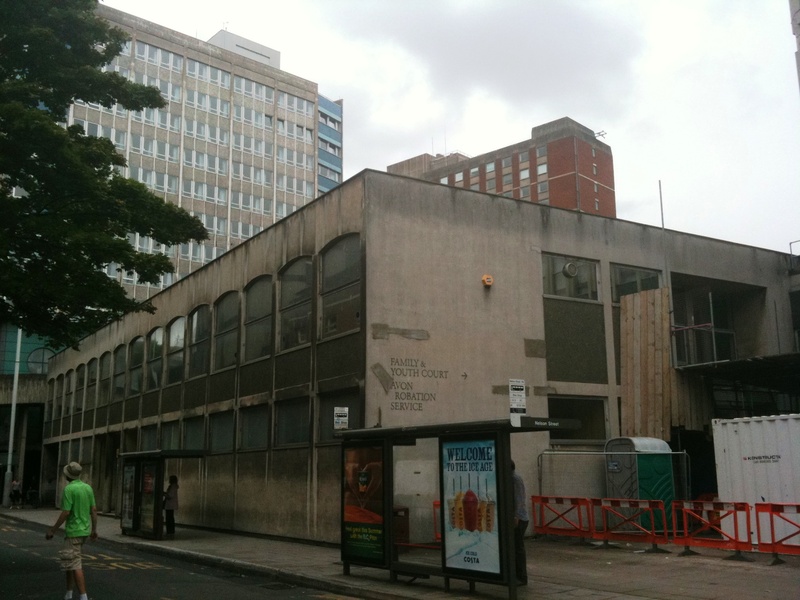 The price is £450.00 / €560.00. 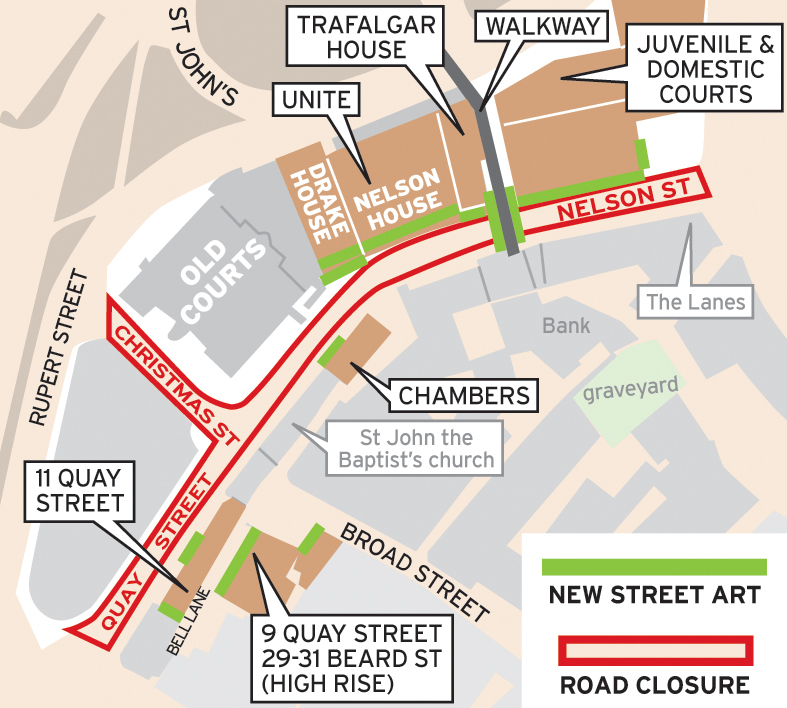 For those queuing on the day of release the prints will be sold strictly on a one print per person basis. For those outside of Paris, there is a lottery in place which will remain open until 12pm on the 22nd June. 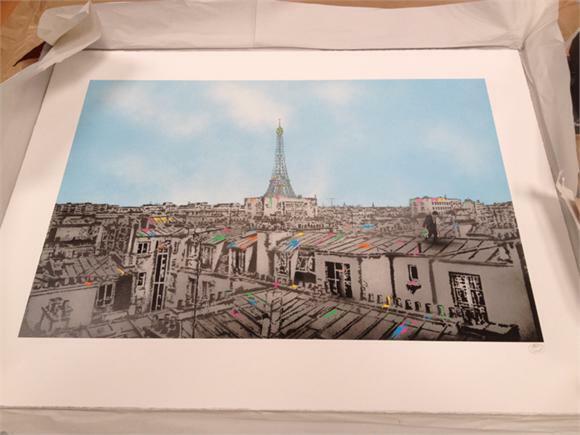 Please email info@theartofnickwalker.com with ‘TMA Paris Lottery’ in the subject line if you would like to enter. Winners will be selected at random on 29th June and contacted shortly thereafter. Big thanks to the overwhelming amount of people who have already subscribed. The new ‘Paris – The Morning After’ print will be availble to purchase on Saturday 23rd June 2012 from the Opera Gallery, Paris, at 2pm. For those outside of Paris, there is a lottery in place. 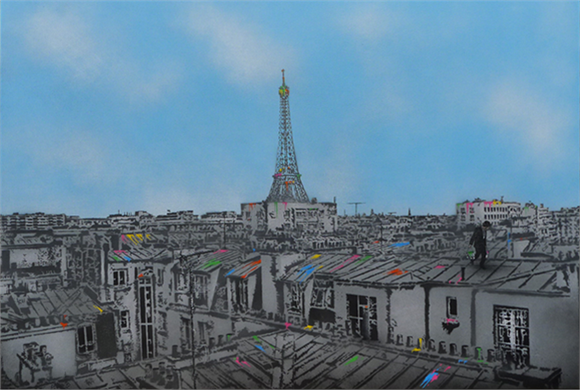 Please email info@theartofnickwalker.com with ‘TMA Paris Lottery’ in the subject line if you would like to enter. Winners will be contacted soon after the release. 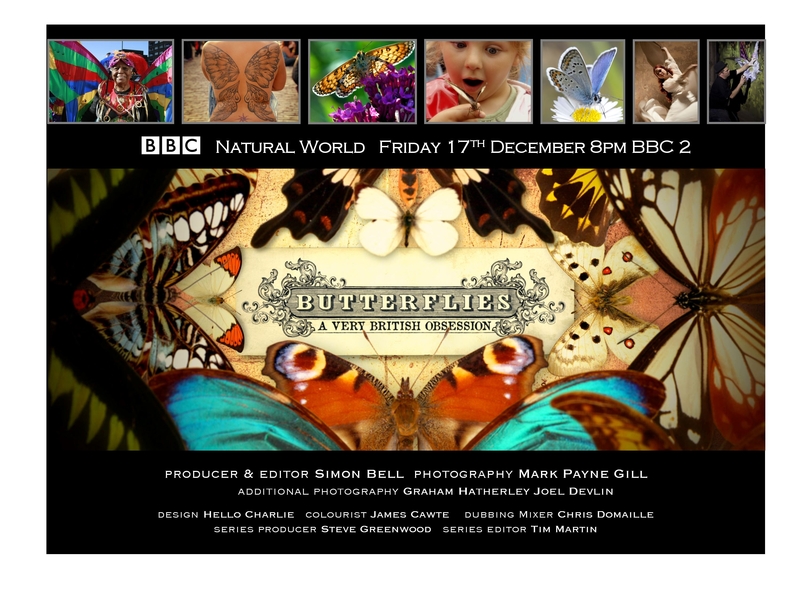 Back in the summer Nick Walker was asked to paint a piece that would be filmed and used in a TV documentary about butterflies. In Gods We Trust is an exciting new exhibition showcasing 12 debut pieces from iconic artist and graffiti pioneer – Nick Walker. 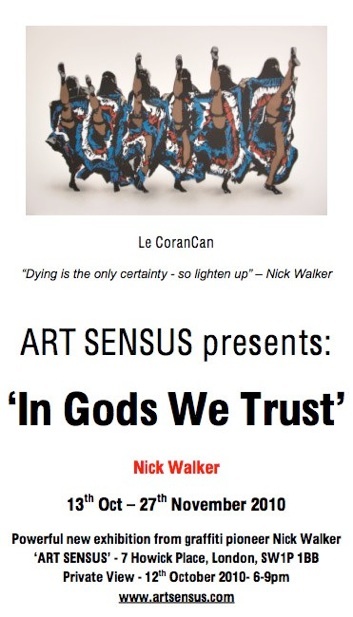 This is Nicks first major solo show in 2 years, it opened last Tuesday evening at the Art Sensus Gallery in London and runs until the 27th November so go check it out if you are out and about in London. One of the new pieces (and also the show print) was his controversial piece ‘Le Corancan’ that the Parisian streets were hit up with earlier this year. “In Gods We Trust confronts cultural practices and dogmas through a paradoxical exploration of political and religious landscapes. 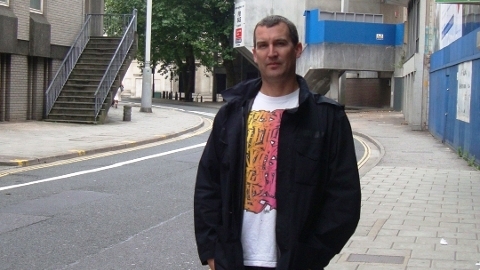 Debuting 12 new works, this shrewd new showcase is set to be Nick Walker’s most powerful collection to date”. 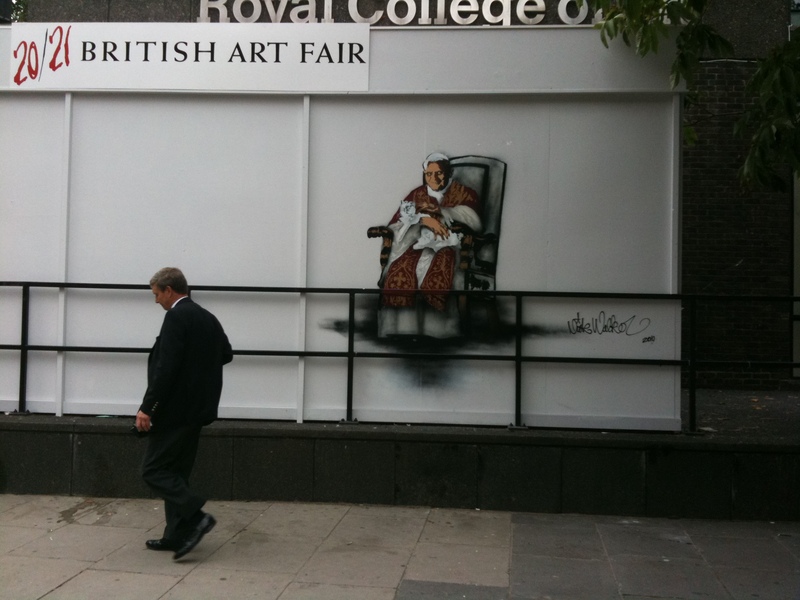 The latest piece by Nick Walker – that appeared outside London’s Royal Collage of Art today. Now available on film – this is so cool. Nick has been busy in the French capital today dropping this piece – Le Corancan. 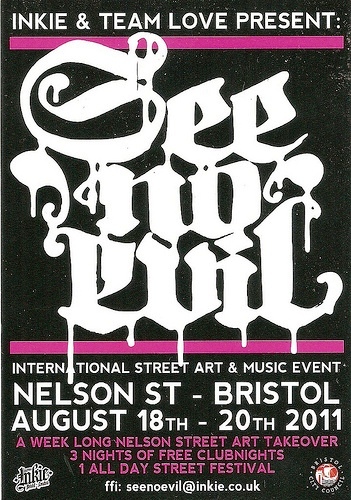 If you only get to one exhibition this year, make it this one at the Royal West Of England Academy in Bristol, a major show of new work by the city’s best known and most successful graffiti and street artists and is the first show of its kind in the city since the Arnolfini’s groundbreaking 1985 show, Graffiti Art. Celebrating Bristols rich and diverse contemporary scene, which has nurtured many of the UK’s most successful graffiti and street artists, including 3D, Inkie, Banksy, Nick Walker, Sickboy and TCF Crew, and continues to be a breeding ground for a wealth of exceptional creative talent. We have been lucky enough to have visited the venue to watch the work being thrown up and it is going to be a killer of a show. It opens on Friday night and and is open for 6 weeks so get along.